A new stage in the long history of connections between Midleton College (founded in 1696) and the United Dioceses of Cork, Cloyne and Ross, has been inaugurated with the arrival of the Reverend Andrew Orr to serve as Chaplain to the College, and also as Priest-in-Charge in the adjoining small parish of Youghal Union. 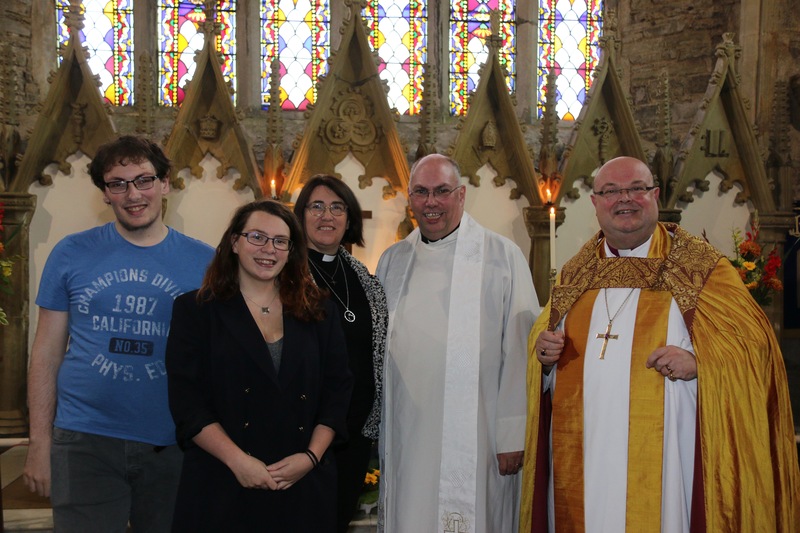 The Reverend Andrew Orr, with his wife, the Very Reverend Susan Green, Dean of Cloyne, and their family, with the Bishop following the Service in Youghal. 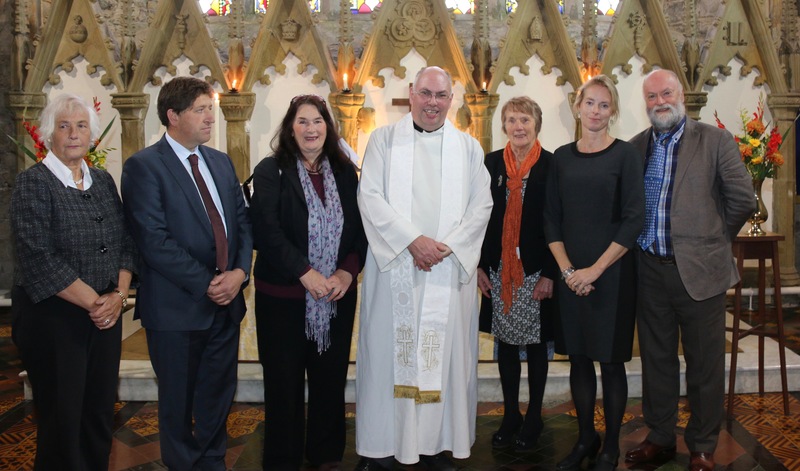 On Sunday afternoon, 14th October, Andrew was licensed and commissioned at a Service in the Collegiate Church of St Mary the Virgin Youghal, attended by representatives of Midleton College, the parish, the local community, the Diocese, and many guests who had travelled from Cashel, Ferns and Ossory, especially Tullow Union of Parishes. Among the guests were Councillor Mary Linehan-Foley representing the Mayor of Cork County, and Minister David Stanton, T.D. Dr Edward Gash, Principal of Midleton College, led a group of teachers and students, and a large number of the College Governors were present. The parish primary school, South Abbey National School, was represented by teachers and parents, led by the principal, Ms Sinead Solleveld. 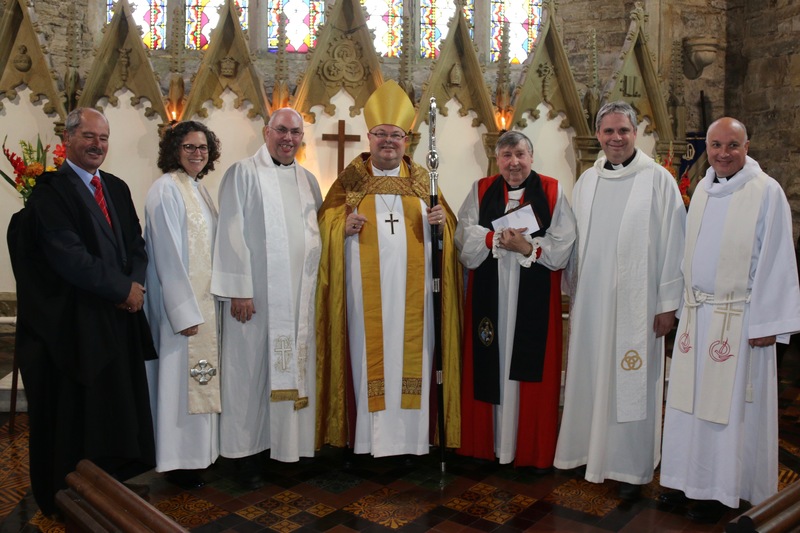 Following the Service in Youghal were (l-r) John Jermyn (Diocesan Registrar), the Reverend Sarah Marry (Bishop’s Chaplain), the Reverend Andrew Orr, the Bishop, Bishop Walton Empey (Preacher), the Reverend David Bowles (Deacon at the Service), and the Venerable Adrian WIlkinson (Archdeacon). The Reverend Andrew Orr with the Churchwardens of Castlemartyr, Youghal and Ardmore. Andrew Orr’s arrival was completed the following Thursday, 18th October, at a full school assembly held at Midleton College at which he was introduced to the whole school by the Bishop, and welcomed by the Principal, staff and students. The Bishop paid tribute to Dr Edward Gash whose vision it has been, from the outset of his time as Principal, to have a Church of Ireland priest as Chaplain to Midleton College, and who took the initiative in entering into this partnership with the Diocese. 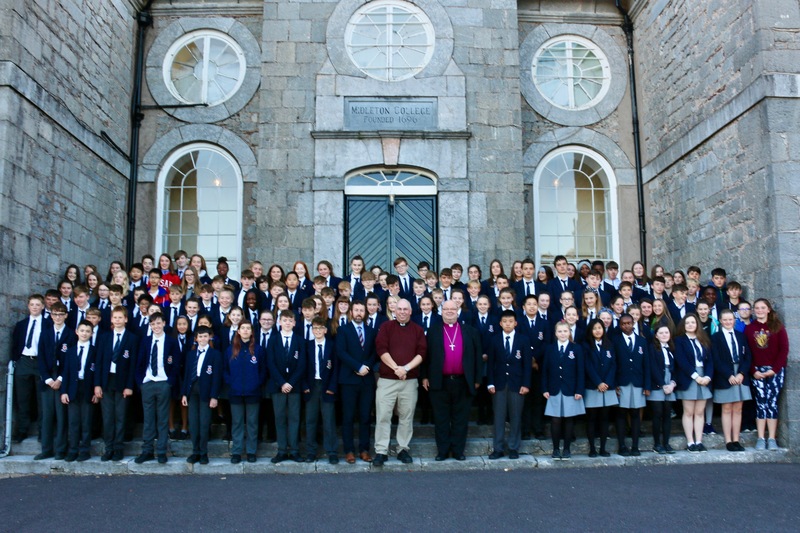 Following the whole school assembly at Midleton College, first and second year students gathered with the Principal, Dr Edward Gash and the Bishop, to welcome the new Chaplain, the Reverend Andrew Orr. This entry was posted in Bishop, Chaplaincies, Commissionings, Education, Installations, LIcensing, Midleton College, Schools in the Diocese. Bookmark the permalink.